A Jamaican student Talks It Out with actor Peter Williams and director Frances-Anne Solomon at the premiere of A Winter Tale. WHEN Trinidadian Frances-Anne Solomon's award-winning feature film opened at a VIP preview in Jamaica on April 3, audience members weren't the only ones to take notice. Media across the Caribbean have been raving about A Winter Tale, and coverage of the film has been abundant. During the premiere, Robert Gregory of Jamaica Trade and Invest described A Winter Tale as "a compelling story of struggle, survival and healing" calling it "a quality production, relevant to the times." Gregory also said he's awaiting the DVD release: "I look forward to watching this film over and over again." 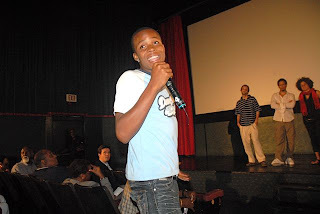 The Canadian Consulate paid for 100 inner-city youth to attend the screening and in the Talk Back session after the screening, the audience witnessed a riveting and heart wrenching outpouring of emotion as the young people expressed their appreciation of the film's relevance to Jamaica. As a result of the success of the first screening the Winter Tale team has been inundated with requests from local schools and communities to make the film available to their young audiences. The film is now on general release in Jamaica. Throughout May and June it will travel across the region, opening at cinemas in Trinidad, Barbados, Antigua and St. Lucia. A Winter Tale tells the moving story of a black men's support group that forms at a local Caribbean takeaway restaurant after a young boy is killed by a stray bullet. With a plot that revolves around the universal issues of gun violence and drug use, the film beautifully captures the day-to-day emotional struggles of this group of individuals. 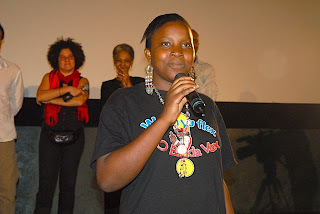 Last September, the film took home the People's Choice Award for Best Caribbean Feature at the 2007 Trinidad and Tobago Film Festival. A Winter Tale features a brilliant cast including Trinidadian comedian and actor Dennis "Sprangalang" Hall and famed Jamaican icon Leonie Forbes. It will open in TT next month. Over the past year A Winter Tale has travelled the world, garnering rave reviews and international recognition through film festivals in Toronto, Montreal, Halifax, New York, Trinidad and England. 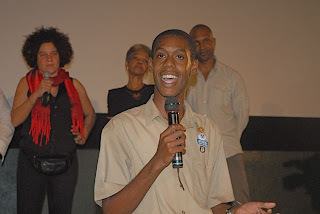 The film's Jamaican release was sponsored by JMMB, Air Jamaica, Hype TV, The Gleaner, The Jamaica Observer, High Commission of Canada, Trinidad and Tobago Consulate, Roots FM, Jamaica Trade & Invest (JAMPRO), National Council on Drug Abuse, Grace Kennedy Corp, CTV, Caribbean Beat, Bank of Nova Scotia and Budget Rent-A-Car. Frances-Anne Solomon is an award-winning filmmaker, writer, director and producer. She is the president and artistic director of the two companies she founded: Leda Serene Films and CaribbeanTales, and has also worked as a film and television drama producer for the BBC. Recent projects include A Winter Tale (for Telefilm Canada/CHUM Television); Heart Beat (Bravo!) 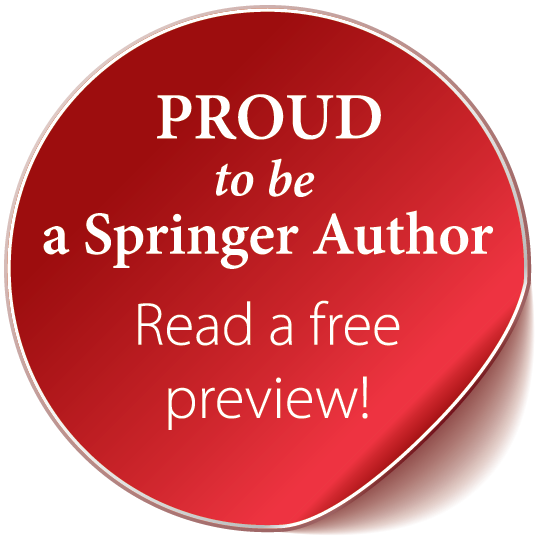 which profiles Caribbean musical creators; Literature Alive, a multi-facetted multimedia project profiling Caribbean authors; and the Gemini-nominated Lord Have Mercy!, Canada's landmark multicultural sitcom, for Vision TV, Toronto1, APTN and Showcase. Photos: Some of the youth who attended the Jamaican Premiere of A Winter Tale at Sovereign Mall on April 3. Where Did All the Girl Geeks Go?